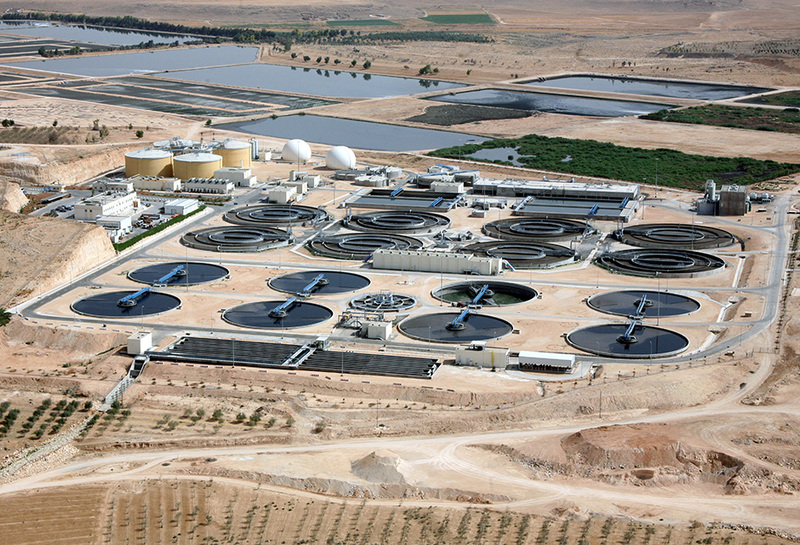 Samra wastewater treatment plant project is a public private partnership (ppp) for financing the construction and operation of a public infrastructure in Jordan based on a Build Operate approach over a period of 25 years. It is the first (BOT) project in Jordan, and the first (BOT) project by USAID. The Swedish International Development Agency (SIDA) financed the technical assistance during the preparation phase, construction, commissioning and 18 months of the commercial operation period of the project. The consulting company is SWECO. 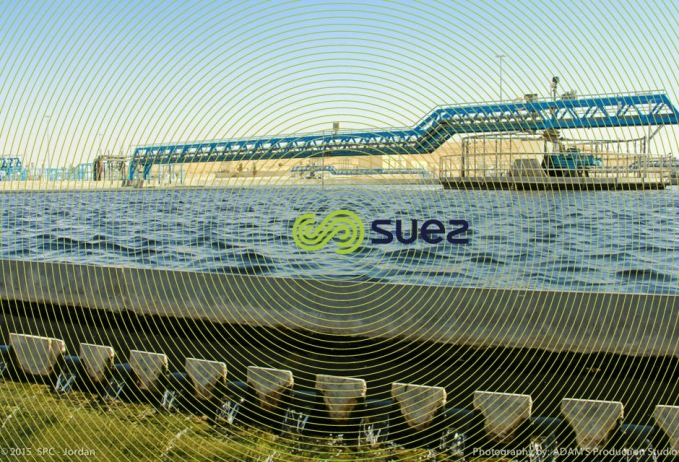 The raw water from Ain Ghazal pretreatment facility flows through a Ø 1,500 mm pipe into two Pelton turbines to produce electricity. The clarified effluent of the secondary settling tanks flows to nine plug flow chlorine-contact tanks for its final disinfection. Primary sludge from the primary settling tanks is thickened in three covered circular thickeners each of diameter 23m. Biological sludge from the aeration tanks is thickened in another three covered Dissolved Air Flotation units (DAF) of diameter 18 m. The two are mixed together in a covered tank of 98 m3 volume before it is pumped to four anaerobic digesters each of capacity 15,900 m3. The sludge is kept in the digesters for three weeks at 35ºC where it is mixed thoroughly by the Cannon®Mixers using the recycled compressed biogas. Heating of the recycled sludge is done by hot water recovered from the cooling of the engines in a shell-Tube heat exchanger. The digested Sludge flows to the digested sludge storage tank where it is pumped to 25 solar evaporation basins where it is dried to about 30% dry solids. Lime will be used if necessary for sludge stabilization. The Biogas produced in the digesters is stored in two gas holders each of 5,000 m3 capacity. It undergoes H2S removal before being used in five Biogas engine generator sets for the production of electricity.